Proudly serving all West Alabama for Auto, Home, Business, Life, Health, Renters, and Business Insurance. We are licensed in all Alabama but primarily focus on Pickens, Lamar, Tuscaloosa, Greene, and Sumter Counties. 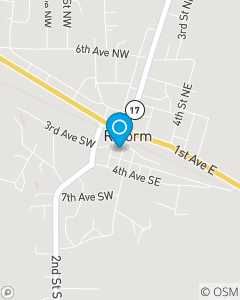 We are located downtown on Main Street in Reform, AL. Kathy Saxton is lifelong Pickens County resident. She has been proudly serving the residents of West Alabama since 2004. Amanda Nance grew up in Lamar County but has been serving customers in Pickens County since 2016. Kristen Adair grew up in South Alabama but has lived in West Alabama since 2012. Our entire staff is ready to serve you. Grayson Medford moved to West Alabama and joined our staff in 2018 after finishing college at Birmingham Southern College in 2017.